image: a large ship is deliberately destroyed by a torpedo explosion in a harbour setting. A submarine is to the left and the torpedo's track is indicated in the water, while three other vessels observe from the foreground. 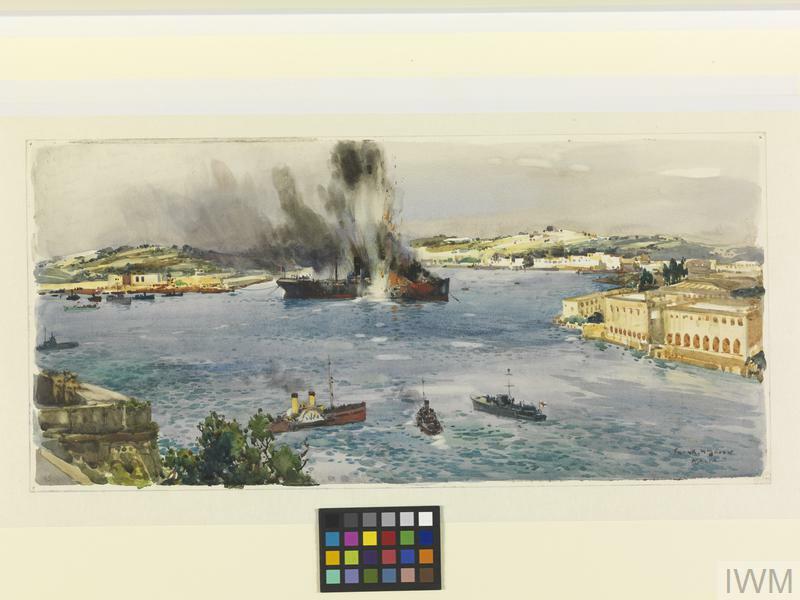 The Last of a Torpedoed French Transport : in Lazaretto Creek, Malta. The kite balloon station and trawlers.